An OCBC Bank was formed in 1932 from the merger of three local banks, is the longest established Singapore bank and the oldest of which was founded in 1912. With an Aa1 rating from Moody’s, it is now the second largest financial services group in Southeast Asia by assets and one of the world’s most highly-rated banks. The OCBC bank offers a comprehensive range of specialist financial and wealth management services including credit cards, corporate and enterprise banking, deposit-taking and personal lending, international trade financing, investment banking, cash management, treasury, insurance, private banking, stockbroking and asset management. The bank was listed on the SGX-ST as one of the largest listed companies in Singapore by market capitalization and is one of the largest listed banks in Southeast Asia by market capitalization and have more than 29,000 employees globally. The bank is consistently ranked among the World’s Top 50 Safest Banks and recognized for its financial strength and stability by Global Finance and has been named Best Managed Bank in Singapore and the Asia Pacific by the Asian Banker. The OCBC Bank and its subsidiaries offer a broad array of commercial banking, ranging from consumer, specialist financial and wealth management services, insurance, asset management, corporate, investment, private and transaction banking to treasury, and stockbroking services. The key markets of OCBC Bank are Greater China, Singapore, Indonesia, and Malaysia. In 18 countries and regions, there are more than 610 branches and representative offices which include the more than 340 branches and offices in Indonesia under subsidiary Bank OCBC NISP, and over 100 branches and offices in China, Hong Kong, and Macau under OCBC Wing Hang. 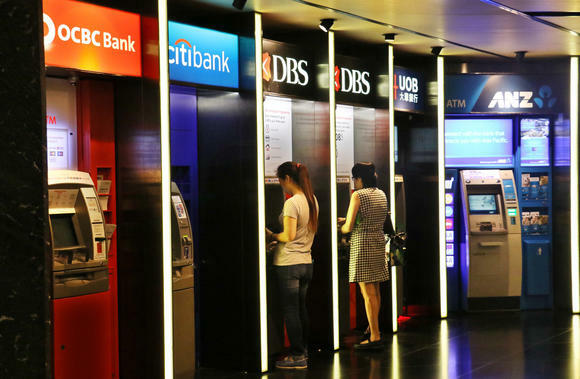 The private banking of OCBC Bank is provided by its wholly-owned subsidiary Bank of Singapore that operates on a unique open-architecture product platform to source for the best-in-class products to meet its clients’ goals. Great Eastern Holdings is the OCBC Bank's insurance subsidiary, is the oldest and most established life insurance group in Singapore and Malaysia. Lion Global Investors is its asset management subsidiary and it is one of the largest private sector asset management companies in Southeast Asia. You can click here if you want to get info about bank account promotions. Under the Bank of Singapore brand name, OCBC Bank offers private banking services that serve high-net-worth individuals and wealthy families. January 2010 when the Bank of Singapore was launched following OCBC Bank’s purchase of ING Asia Private Bank, which was subsequently combined with OCBC Private Bank. It is solely focused on the private banking business as a dedicated private bank headquartered in Singapore. It is nimble and quick to respond to market opportunities and changes as independently managed. Supported by strong proprietary research and independent advice, the Bank of Singapore offers a comprehensive suite of products and services on an open-architecture platform. It also leverages OCBC’s international network and expertise in retail, commercial and investment banking, mortgage financing, stockbroking, insurance and investment management.